Culinary Classroom. 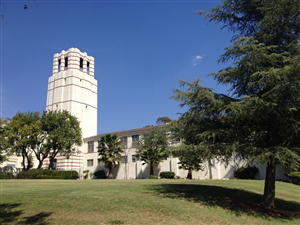 The Pasadena Unified School District (PUSD) is converting an existing classroom into a culinary classroom at Muir Hugh School. Owen will be providing architectural and mechanical, electrical, and plumbing engineering design and construction assistance for this project. The project will involve the installation of multiple gas-fired cooking stove/ranges with kitchen hoods. The teacher will have a separate electronic cooking stove/range. Work will also involve ductwork, revision of the existing heat pump and electrical panels. Owen is providing project management, construction drawings and specifications, assistance during DSA plan checks, assistance during bidding and construction, and project close-out. Chiller Plant. PUSD is replacing the existing chiller plat at Eliot Middle School. Owen is providing mechanical, electrical, and plumbing engineering design, project management, development of construction documents, and assistance during bidding and construction.